Rita ATALLAH specializes in advising companies and individuals in Corporate Law, financings, Commercial Law and Labor Law. Rita has a particular expertise in assisting clients in complex commercial litigations and settlement processes. Admitted to the Paris Bar in 2012, Rita holds an LL.M. 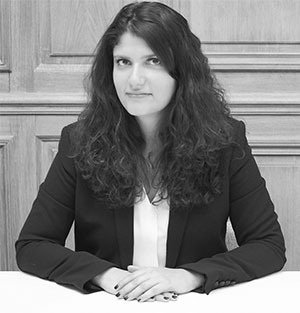 of Business Law of the Arab Countries (University of Paris II - Assas), a Postgraduate Degree in Intellectual Property and New Technologies (Université Paris XI Sceaux) and a Master's Degree in Private Law from the University of Paris II (Assas).